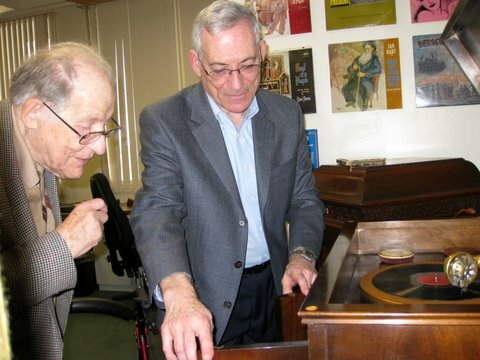 We were delighted when Jack Saul visited the Judaica Sound Archives in February 2009. He was accompanied by his wife, Hinda, his son Ken and daughter-in-law Julie. 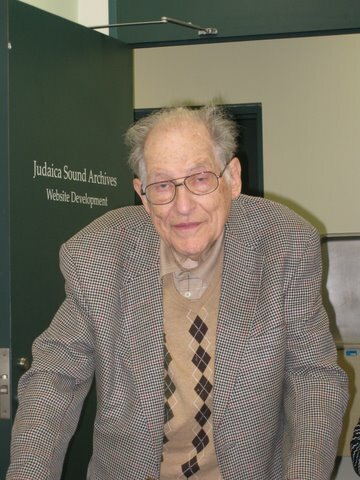 Jack was well-known to us because he had amassed what we believed to be the largest private collection of sound recordings in the USA, maybe in the world. Jack Saul and his family were impressed by what they saw at the JSA. As he walked down the aisles of shelves holding tapes, CDs and LP phonograph albums Saul would stop from time to time to comment about a recording. He was very knowledgeable and seemed to know every one of his tens of thousands of recordings personally. According to Arlene Fine of the Cleveland Jewish News Jack Saul filled his modest home with over 150,000 phonograph records. Over 36,000 of these have been donated by his family to FAU Libraries. About 12,000 of the recordings will be added to the JSA’s collection. 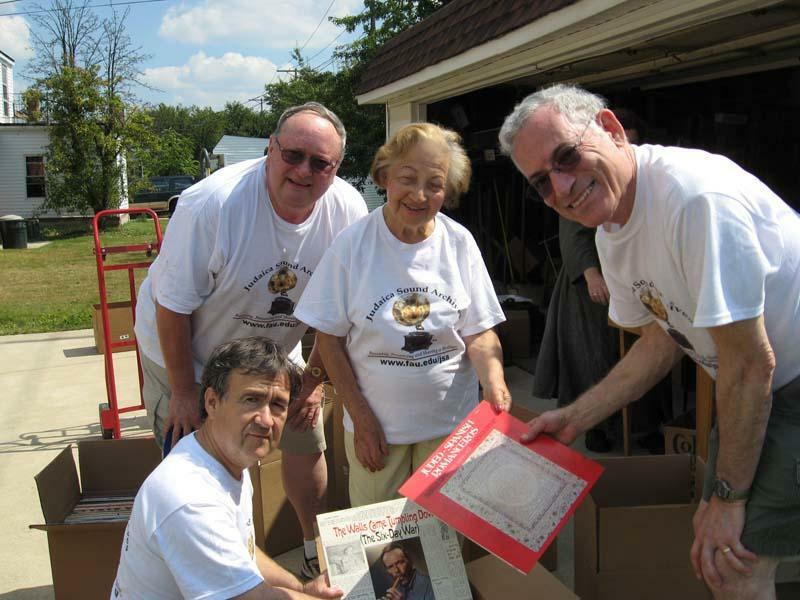 After his untimely death on May 1, 2009 we learned that the Saul family wanted to donate all of the Judaic recordings in the collection to the JSA. So it was with a mixture of heavy heart and anxious anticipation that Nathan Tinanoff, Ben Roth and Bill King went off to Cleveland to supervise the selection and packing of the recordings that were headed to FAU Libraries.